Julia Halford, BSc.O.T., OTReg. (NB) graduated on the Dean’s List from Dalhousie University in 2005 with a Bachelor of Science in Occupational Therapy. She has worked in Nova Scotia and New Brunswick with clients of all ages in both hospital and community settings. 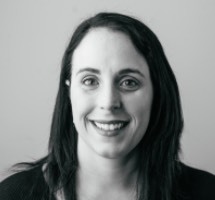 Julia is a member of the New Brunswick Association of Occupational Therapists and the Canadian Association of Occupational Therapists and is registered to practice in New Brunswick. Julia is trained in ABC boum! a multi-sensory handwriting method as well as Handwriting without Tears, used by millions of students worldwide. She is a Progressive Goal Attainment Program (PGAP®) trained clinician. PGAP® is an evidence-based treatment program for reducing disability associated with pain, depression, cancer and other chronic health conditions. Julia has also completed ASIST, applied suicide intervention skills training and is certified in Micropoint stimulation pain therapy. She is also trained in both the Matheson Functional Capacity Evaluation and Workwell Functional Capacity Evaluation, a physical evaluation of an injured worker or accident victim in the areas of strength, endurance, speed, flexibility, and physical effort. Julia is also trained in Matheson Functional Capacity Evaluation, Cognitive Demands Analysis, Cognitive Abilities Evaluation and in particular Cognitive Rehabilitation. She is also certified in Micropoint stimulation pain therapy. She provides occupational therapy services to children, adults and seniors with physical, cognitive and mental health challenges in English in greater Saint John, New Brunswick. Julia re-joined our team in 2014.